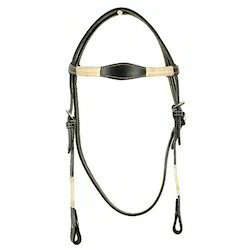 Manufacturer of a wide range of products which include head stall with curve tilted brow band, head stall with raw hide, head stall with core raw hide, head stall with twisted brow band with core, leather headstall and head stall with brow band. 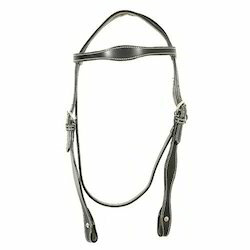 Keeping the track of market, we are presenting a reliable collection of Head Stall with Curve Tilted Brow Band. The head stall provided by us is manufactured at our working place & widely applauded for its uniqueness. Our team people utilize the best material and newest machines under the keen observation & management of experts. This head stall is accessible at various specifications & customization options. 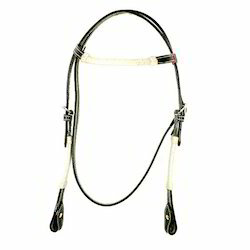 Our customers can purchase this head stall from us at pocket friendly rates. We have emerged as one of the chief manufacturers, exporters and suppliers of an extensive variety of Head Stall with Raw Hide. This head stall is designed by utilizing best material and newest ideas by team experts. 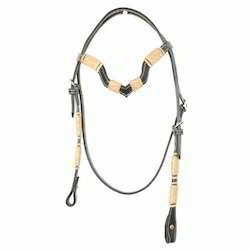 The offered head stall is examined on factors which ensure the quality of this specific product. Along with that, we provide this head stall to our customers at different stipulations according to the need defined by our customers. 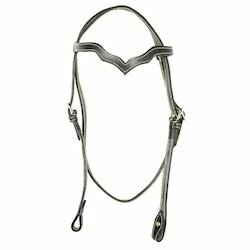 Also, our patrons can buy this head stall from us at vary affordable rates. 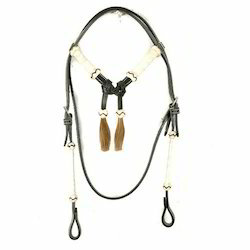 We are the renowned entity involved in offering quality approved range of Head Stall with Core Raw Hide. Our given range of head stall is manufacturer on the observation of professionals by utilizing best quality material and innovative technology according to the market standards. The given range of head stall is provided in numerous finishes which suits the needs of our customers. 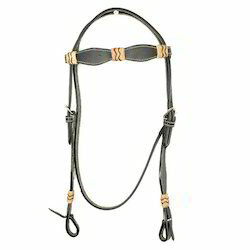 Exporter & manufacturer of head stall with twisted brow band with core. Exporter & manufacturer of head stall with latine lace hide. 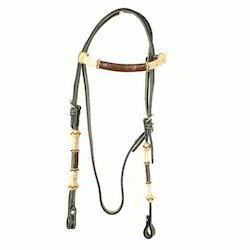 Looking for Horse Headstall ?